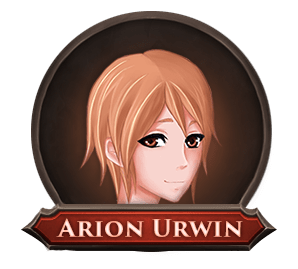 While Elaru is waiting for Deora and Zerel to resume the exam, she meets Arion Urwin, who unlike the other examinees, holds no hostility towards her. Deora’s clothes have been burned away leaving him naked. Before he can resume the exam, he needs to be clothed, and a replacement speedometer needs to be found. After a while of bickering, Zerel left to the madam Rosling’s place in the tailoring department of the university to get a new uniform for Deora. Luckily under the guise of lack of time, he managed to get away without being forced to change into his own uniform. “Why me?” Deora whined, not noticing the tone Zerel used made it sound like he was talking to a pet. “Because you can accelerate and thus are faster.” Zerel explained convincingly. “Ah…that makes sense” Deora nodded, completely oblivious to Zerel’s ulterior motives. And so, Deora set out on a quest to find the replacement for their destroyed apparatus. In the meantime, Zerel took the remains of the wooden objects and transmuted them into two tables and a chair. After that, he sat on the chair, leaned on the table replacing the teacher’s desk, and took a nap. Just before Deora walked through the door, Zerel’s keen elibu ears picked up his footsteps. He quickly straightened his back, took out the grading sheets and a plate that he had stored in his pocket and pretended to be doing something useful. Definitely, not sleeping. As Deora entered the room, the first thing he noticed was Zerel writing “25/25” next to an examinee number corresponding to the number written on the exam pass in his other hand. “How should I know! ?” Deora stomped his feet impatiently. Spell breaking. The action of destroying another mage’s spell. It was a term every mage was familiar with, yet people who could actually perform it were as rare as phoenix feathers and qilin horns. That was because, while it was relatively easy to interfere with spellcasting, it was almost impossible to destroy an already formed spell belonging to another mage. Deora ground his teeth. He didn’t know what sounded more unpleasant, going back on what he previously said or letting that cheater score full points. Kiel waited in front of Elaru’s classroom for quite some time before the examinees started coming out. Elaru was among the first to emerge. Seeing her bright smile, he assumed the exam went well. He was about to let out a breath of relief when he noticed that she wasn’t alone. A male argel with ordinary appearance was conversing with her and walking by her side. The guy seemed to be good natured and friendly, giving Kiel no good reason to hate him. But did Kiel ever require a good reason for hating someone? Hearing the excited voice with which the boy addressed Elaru, Kiel instantly judged he disliked the guy. Seeing him irked Kiel. He got the urge to turn around and walk away, but before he could do so, Elaru spotted him and animatedly started waving her hand in his direction. Kiel swore inwardly. They were no longer alone. They were in public. He couldn’t give her the cold shoulder and ignore her. Right now, he was supposed to be a benevolent young master. He plastered a soft smile onto his face and waited for her to walk up to him. Damn right! I want interest on the time I wasted. Unexpectedly, his statement made both Elaru and the boy next to her display strange expressions. Elaru’s face displayed a wry smile while Arion looked like he would burst out into laughter at any moment. “Actually…it was indeed my fault…” Elaru scratched her head sheepishly. Kiel blinked a few times, confused as to why the delay would be her fault. The boy next to her took this as his cue to step in and explain. He placed his hand on Kiel’s shoulder, in a friendly, “man to man” way. “Bro, let me tell you the great tale of how Elaru Wayvin broke the speedometer.” Kiel looked down at the hand on his shoulder, trying really hard to not display any displeasure. Kiel’s eyes flashed with alarm. He looked at Elaru who was smiling wryly. And then looked back towards the boy, whose eager expression reminded Kiel of a pup, ears perking up, tail wagging excitedly. “Totally destroyed it! The hourglass shattered, the jelly sprayed everywhere, the balls blew up in smoke. It was a bloody massacre!” He spoke dramatically and animatedly gesticulated. At this point, he could no longer contain his laughter and burst out clutching his stomach. Kiel stared at him speechless and dumbfounded. When he glanced towards Elaru, he noticed her covering her mouth with her hand, suppressing giggles. His eyebrow twitched. What the…? Is he making fun of me? Or did that really happen? Kiel’s face stood frozen in a smiling expression for a while. He didn’t know what emotion would be appropriate for him to display at this moment. In fact, he didn’t know what he was feeling at all. Elaru smiled sheepishly but said nothing. “Naturally, I was too fast…” The statement wasn’t false, it indeed broke because of her speed. But of course, she didn’t elaborate the reason why she managed to reach that speed. This wasn’t the right time to let him know that neither her strongest ability nor main occupation was actually tracking. Kiel lowered his head, his bangs casting the shadow over his eyes. He had never heard of anyone breaking the speedometer before. Abnormal! You are too abnormal! From which world did you come from?! After a short memory search, Kiel found out why that last name sounded familiar. Urwins weren’t a noble family. However, they were quite famous in the lands of Halnea because they owned several newspapers including the Lodge (quest seeker & quest lodge related newspaper), the Warlord (arena and warlock related newspaper), and the Sibyl (a daily newspaper covering all kinds of different news). Kiel’s grandfather warned him to be especially vary of Urwins. You never knew if your next words would end up in tomorrow’s Sibyl. Kiel’s eyebrow twitched almost imperceptibly. “Not my girlfriend.” He exclaimed in his usual soft and alluring voice. “Wow there! You sure shot that down quickly. Ouch.” Elaru put a hand over her heart and feigned pain before erupting into a chuckle. None of your business… Kiel grumbled inwardly. While Arion was looking at Elaru, Kiel shot her a deathglare. “What? Those were your words, not mine.” She responded, her eyes glittering impishly. Three days ago, when he realized he was stuck with her, he did mention something of the sorts. “Not exactly.” Kiel added before Elaru could cause another misunderstanding. Didn’t she know how dangerous it was to reveal any information to an Urwin?! They could be the topic of tomorrow’s newspaper! Why, oh, why did you have to break a speedometer in the presence of an Urwin?! Arion didn’t stop the questioning, his face still honest and friendly, making one feel like it was completely safe to reveal any information to him. What flawless execution! Could this be considered an Urwin family secret skill? They shared a look and then saw the strange look on Arion’s face. Elaru snickered quietly. “Nice save! You didn’t even lie. I see you are catching on what I meant when I talked about lying with truth.” She winked at him. Is this an interview, or is it that you usually never shut up? Either way, her statement left him speechless. When the words left her mouth, all gazes converged on to Kiel.